So, Saturday, I was bad. Can you blame me?! After all, I did lost 4 POUNDS last week. So I couldn't resist being bad for a day. So for lunch we went to Sonny's BBQ (probably one of the worst places on the planet to eat—fat wise). I had BBQ pulled pork, french fries, and a sweet potato (with cinnamon butter). That was it. So it wasn't too bad, right? Then I didn't eat any dinner. But we had some yummy cheese and crackers. 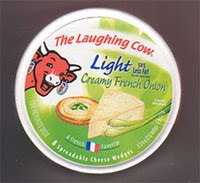 We got Laughing Cow light french onion swiss cheese and All Bran baked crackers. Man was that yummy! I had probably 50 crackers and 4 wedges of cheese. So even though the snacking was healthy, I did go overboard with it. But at least I binged on healthy food, right. Sunday morning, we went for breakfast before church again. I behaved, though. Egg beater omelet with veggies and no cheese, a half a cup of oatmeal and one slice of wheat toast. Was only a 10 point breakfast (like the way I say only?). I think all in all I had a decent weekend, food-wise. I only gained a pound from it all. I didn't go biking this morning. I have no excuse. Just didn't want to. Oh, the best part of the weekend was last night. 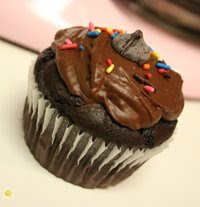 I made low fat chocolate cupcakes. I've always said I would never make "diet" cupcakes because, what's the point, right? If you're gonna have a treat, it should be the real thing. Who wants to eat a sub-par treat, right? Well, these were amazing! So moist and rich in flavor. I can't believe they're diet!! I'll post the recipe for you tomorrow. But here's a picture of one of them just to tempt you. They were only 3 points per cupcake. I keep laughing cow cheese in the house too and eat it on triscuits. Yummmmm. You deserved a treat after the great loss but get back in the swing of things, don't want to waste all the effort you put forth last week and gain it back, or heaven forbid gain more. Just discovered the Laughing Cow cheese last week and oh my gosh is it good for only 1 point!!! YUM!!! 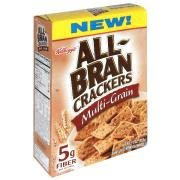 I eat it on my sandwich at lunch, with some low point sandwich meat and lots of lettuce...YUM! !